A long-term police operation to take down organised drug dealing has led to 12 people from Bognor being arrested. 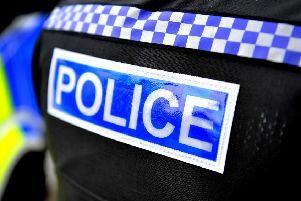 Sussex Police say they have disrupted activity aimed at bringing drugs into the area, searching addresses in the town as well as in London, and seizing large quantities of drugs and cash. Detective Sergeant Jason Vickers said, “This complex investigation, of a type often unseen by the local public, demonstrates our ability to act locally and follow up with warrants and drug seizures in London, helping to prevent crime in West Sussex. Since the beginning of the year officers have been carrying out an investigation called Operation Highwood, which is continuing, police say. Five search warrants have been executed at homes in Bognor, and a further two in London. Sussex Police say the investigation has led to hefty seizures of crack cocaine and heroin, along with cash. Twelve people from the Bognor area have been arrested on suspicion of being concerned in the supply of Class A drugs, police confirmed. After being interviewed they were been released under investigation. A 26-year-old man from London, arrested on suspicion of the same offence, is on police bail until 9 June while enquiries continue. In addition a 16-year-old boy from London who was suspected of being trafficked into West Sussex in order to deliver drugs on behalf of others has been referred to supporting agencies. Det Sgt Vickers added: “This operation is part of our continuing work, alongside colleagues from other forces and law enforcement agencies, to combat drug dealers who operate from London by operating special phone lines and taking homes of vulnerable people locally, in order to use as a supply base. If you have information about illicit drugs activity in your area you can contact the police online or by calling 101.